Before :- S.B. Sinha and Mukundakam Sharma, JJ. Civil Appeal No. 1537 of 2009. D/d. 05.03.2009. For the Appellants :- Mrs. Rachana Josihi Issar, Shailendra Kumar, Ms. Nidhi Tewari, Advocate. For the Respondents :- Ms. Majusha Wadhwa, Ms. Samina Sheikh, Advocate. 2. This appeal is directed against a judgment and order dated 3-04-2008 passed by a learned Single Judge of the High Court of Uttarakhand at Nainital in Appeal From Order No. 589 of 2006. 3. Appellant is the owner of a tractor bearing No. UA06/0363. It hit Paras Gubbar (deceased), son of Shri Harish Chandra Gubbar while he was riding on a cycle. He was aged about 19 years. He sustained an injury on his head and died on the spot. His legal heirs and representatives filed a claim petition before Motor Accidents Claim Tribunal, Nainital which was registered as M.A.C.P. No. 86 of 2001. An award of Rs. 1,32,000/- was passed in favour of the said applicants/claimants. In the said proceedings, appellant inter alia raised a plea that the tractor was being driven by one Diwan Singh and the appellant being the owner thereof was sitting by his side whereafter he ran away. Villagers stopped the vehicle and a first information report was lodged against him alleging that he had been driving the same rashly and negligently. 4. It was, furthermore, stated that the vehicle was insured with Oriental Insurance Company Limited under Policy Cover No. 58226 for the period 5-11- 2000 and 4-11-2001. The insurance company, on the other hand, raised a contention that as the driver of the said tractor was not holding a valid and effective licence, it had no liability to reimburse the owner or the driver for the damages payable by the owner of the vehicle to the claimants-respondents. "(1) Whether the rash and negligent driving by the driver of tractor No. UA 06/0363 on 5.1.2001 resulted in the accident causing death of Paras Gubbar and whether on the said date the tractor was owned by the respondent No. 1 and was insured with by the respondent No. 2 the insurance company ? (2) Whether the petitioner suffered damage on account of the said accident and deserved to be compensated, if yes, to what extent and from which party ? (3) Whether the petition is maintainable or suffers from non joinder of necessary party has stated by the respondent No. 1 and respondent No. 2 in their replies ? (4) Whether the petitioner is entitled to any relief ?" 6. An award of Rs. 1,32,000/- was passed in favour of the claimants. An appeal preferred thereagainst by the appellant has been dismissed by the High Court by reason of the impugned Judgment. (i) No issue having been framed despite a specific plea having been raised by the appellant that he had not been driving the tractor, the tribunal and consequently the High Court committed a serious error in passing the impugned judgment. (ii) Appellant at the relevant time must be held to have been holding an effective licence as he had been granted a learner's licence earlier, the finding of the Tribunal and consequently the High Court exonerating the insurance company from its liability to reimburse the owner in respect of the awarded amount suffers from serious legal infirmity. (iii) Having regard to the statutory duties imposed upon the insurance company to reimburse the owner of the vehicle or driver as provided for in Section 149 of the Motor Vehicles Act, 1988, the impugned judgment must be held to be unsustainable. (iv) The insurance company having not proved breaches of conditions of contract of insurance as has been held by this Court in National Insurance Co. Ltd. v. Swaran Singh and Ors., 2004(2) RCR(Civil) 114 : [(2004)3 SCC 297], the High Court must be held to have committed a serious error of law in passing the impugned judgment. (i) Appellant cannot be said to have been prejudiced in any manner by non- framing of a specific issue as to whether the tractor was being driven by the appellant or Diwan Singh. (ii) A finding of fact having been arrived at, that the owner of the vehicle himself was driving the vehicle; the onus of proof that he was not its driver was upon the appellant and not the insurance company. (iii) Appellant having raised a specific plea as regards his non- involvement in the accident, the burden of proof was on him. 9. Appellant indisputably is the owner of the vehicle in question. He was admittedly in the vehicle when it met with the accident. A First Information Report was lodged against him. He was proceeded against in a criminal trial having been charge-sheeted by the Investigating Agency. Persons of classes of drive (A) Any person including persons entitled to insured. Limitations as to use Agri. Use. (B) PROVIDED that a person driving hold an effective driving Licence at the time of the accident and is not disqualified from holding or obtaining such a licence. (C) PROVIDED also that the person holding an effective learner's licence may also drive the vehicle and such a person satisfies the requirement of the rule 3 of the Central Motor Vehicle Rule 1988. 11. Concededly the appellant had been holding a learner's licence. It expired on 22-12-2000. The accident took place on 5-01-2001. He applied for grant of a regular licence only on 22-01-2001, whereafter only the licence was granted to him. Rule 14 of the Central Motor Vehicle Rules, 1989 provides for the manner in which an application for driving licence is to be filed. Such an application is to be filed in form 4 and is required to be inter alia accompanied by an effective learner's licence to drive the vehicle of the type to which the application relates. 12. Different provisions in the Motor Vehicle Act as also rules framed thereunder exist for filing applications for grant of learner's licence and a licence. Whereas an application for grant of a learner's licence is filed in form 3 prescribed by the rules; an application for grant of licence is filed in form 4. 13. The word effective licence is defined in Section 3 of the Act. Sub-section 2 of Section 149, however, uses the word duly licensed. In Swaran Singh (supra), a three Judge Bench of this Court has drawn a distinction between the said two terms. 14. The Act provides for grant of a learner's licence. It indisputably is a licence within the meaning of provisions thereof. A person holding a learner's licence is also entitled to drive a vehicle but it is granted for a specific period. The terms & Conditions for grant of a learner's licence are different from those of a regular licence. Holding of a learner's licence is imperative for filing an application for grant of licence as provided for in Rule 4 of the Rules. Converse however is not true. Only because the appellant held a learner's licence which had expired and was not valid on the date of accident, he cannot be said to be duly licensed. It is true that despite expiry of a regular licence, it may be renewed, but no provision has been brought to our notice providing for automatic renewal of learner's licence. "18. It is beyond any doubt or dispute that only in the event an application for renewal of licence is filed within a period 30 days from the date of expiry thereof, the same would be renewed automatically which means that even if an accident had taken place within the aforementioned period, the driver may be held to be possessing a valid licence. The proviso appended to Sub- section (1) of Section 15, however, clearly states that the driving licence shall be renewed with effect from the date of its renewal in the event the application for renewal of a licence is made more than 30 days after the date of its expiry. It is, therefore, evident that as, on renewal of the licence on such terms, the driver of the vehicle cannot be said to be holding a valid licence, the insurer would not be liable to indemnify the insured." 15. Appellant herein raised a specific plea that he was not driving the vehicle and one Diwan Singh was driving the same. The said fact was within his special knowledge. Burden of proof, therefore, to prove the same was on him. He did not examine Diwan Singh. 16. The claimants in their claim petition described the appellant as owner as well as driver of the vehicle. The insurance company, as noticed hereinbefore, has also categorically raised the plea that the appellant was not holding a valid and effective licence. The burden of proof ordinarily would be on insurance company to establish that there has been a breach of conditions of the contract of insurance. In this case, however, the burden in terms of Section 106 of the Evidence Act was on the appellant. He failed to discharge the said burden. As indicated hereinbefore, not only a criminal case was pending against him, he was also charge-sheeted. 17. A finding of fact has been arrived at that he had been driving the vehicle. He in view of the pleadings raised by the insurance company cannot be said to have been prejudiced by non-framing of specific issue as to whether he was driving the vehicle or not. He was aware of the pleadings of the parties. He adduced evidence in that behalf. The tribunal as also the High Court arrived at a finding of fact that it was the appellant who had been driving the vehicle. 18. If that be so, the question raised before us must be determined having regard to the proved facts namely as on the date of accident he was not holding any valid and effective licence. 19. In terms of Section 149 of the Act, the insurance company would be liable to pay the awarded amount to the claimants provided the accident is covered by the terms of the policy, although the burden in respect thereof would be in the insurance company. 20. 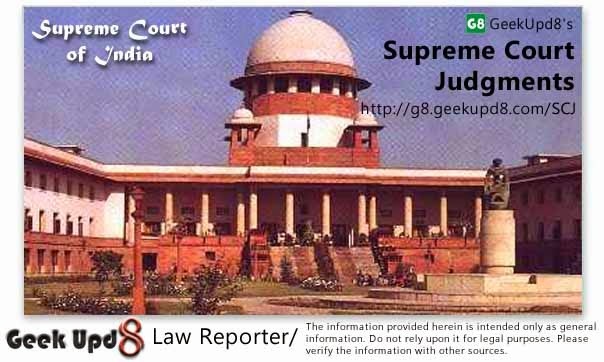 It is now well-settled in view of Section 58 of the Indian Evidence Act that facts admitted need not to be proved. 21. The question as to whether the appellant was holding a valid licence or not was within his knowledge. The driver was to show that he held licence in respect of the vehicle for which he had filed an application. Filing of an application and grant thereof would therefore are pre-requisite for holding a valid and effective licence. 24. As on 5-01-2001 the appellant was not duly licensed as his learner's licence expired on 22-12-2000. He filed an application for grant of licence much later. 22.1.2001 Insurance company, therefore, in our opinion was not bound to reimburse him in terms of the Contract of Insurance. 25. There is, thus, no merit in the case. The appeal is dismissed. However, in the facts and circumstances of this case, there shall be no order as to costs.